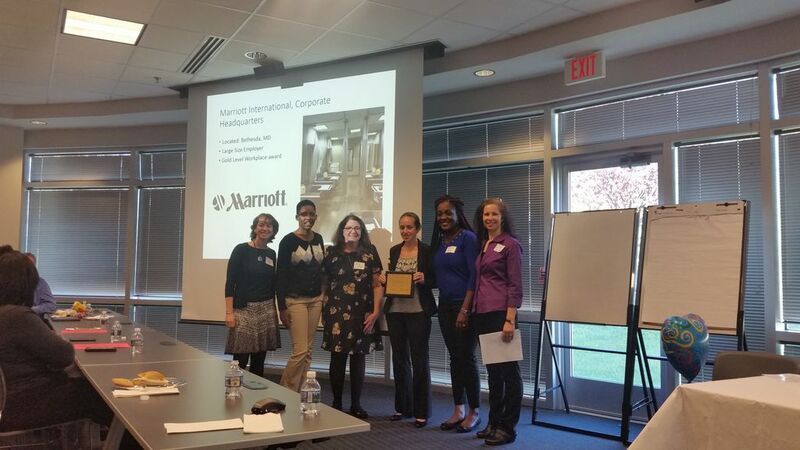 Marriott is committed to promoting wellbeing and happiness, by supporting our working moms. Breastfeeding results in fewer illness and infections. It helps in recovery from pregnancy resulting in a happier and more productive workforce. Our lactation room, The Nook, has eight private curtained stations. Associates have the choice of using the Medela equipped stations or their own personal pumps. Each station includes a special chair with flexible desk trays and access to a refrigerator for breast milk storage. There is a cabinet for personal items and a sink for easy clean up. This is so positive for the company, employees and most importantly the babies. Breastfeeding is the healthiest choice for babies. Marriotts management cares enough about their Associates to make continuing to breastfeed much easier after returning to work. Beyond the physical aspects of the lactation room, the Nook gives the opportunity to meet other breastfeeding mothers. We share experiences and tips when in the room, via emails, meeting at lunch or at the Balancing Work/Life Support Group. It allows mothers the ability to continue breastfeeding longer and gives others the ability to assist in child care/feeding with the stored milk. This is so positive for the company, employees and most importantly the babies.